The kids have all moved away, the rooms are bare, and the nest is empty. The house now feels too big. There’s too much unused space and too much area to maintain. When you reach your senior years, the house that you’ve lived in for decades might not be necessary anymore. Perhaps you’re in need of assistance or you’d rather live in a community. Or, you just want a smaller place with fewer financial responsibilities. It might be time to downsize your living space. As you get older, you might you want to consider living in a retirement home or assisted living. Senior living can start in your 50s and allows you to live independently among your peers. Assisted living is a long-term care option for seniors who might need custodial care or medical monitoring. You might decide to skip out on senior living and remain at home alone or with your loved ones. One option is to sell your house and move into an apartment. Another option is to downsize to a smaller house. Maybe you want to shake things up and move to a new city altogether to start a new life, or maybe you want to move to where your adult children and grandchildren live. Many baby boomers are choosing the latter after retirement. As you make your decision, review your income and assets to see what you can afford, find out how much you can sell your house for, and decide what type of living is right for you. If your house is already paid off, you can use the money from the sale to fund your retirement while renting a smaller place that costs less than a mortgage would. Once you decide what your future living arrangements will be, the next phase is selling and buying your home. If you’re staying local, stick with a single agent to represent you as both buyer and seller. This improves efficiency as there is one professional coordinating all transactions. They will also be familiar with your wants and needs so you won’t have to explain yourself to another agent as your house hunt begins. Moving is a great opportunity to purge the things you never use or have forgotten about. If you’re downsizing, you won’t need all the furniture that once populated the many rooms in your home. You might even be able to sell your old appliances if the new home comes with them. But what about personal items? It’s tough to let go of your possessions, but remember that most of those items are just things taking up space. If it’s not useful, beautiful, or sentimental, then sell or donate it, especially if you haven’t touched it in a year. Use the RFASR formula (recency, frequency, acquisition cost, storage cost, retrieve cost) to decide what to get rid of and what to keep. Moving is the most labor-intensive part of the relocation/downsizing process. It might be tempting to save money by doing all the work yourself, but hiring help is the best thing you could do for the day. Find a reputable, insured moving company and let their able-bodied crew do the heavy lifting. If you have a dog, consider boarding him for the day so he’s not in the way. Moving can be traumatic for dogs, so keeping them away from the chaos can spare them the stress of moving. There are plenty of reasons for seniors to move. It could be that the kids have left the house and spare rooms are no longer needed. It could be that you were living in that neighborhood for the school district or to be closer to work, but you no longer have those needs. It could be that you’re looking for a change of scenery or a new town. It could be that you’ve wanted to move for some time. 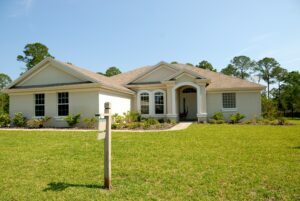 It could be that you’re ready to move into a retirement community or want to live closer to family. Whatever your reason for moving, take one step at a time for a smooth moving process. Vote “Yes” on Amendment 2! Breaking news for Pinellas residents regarding FEMA flood maps!